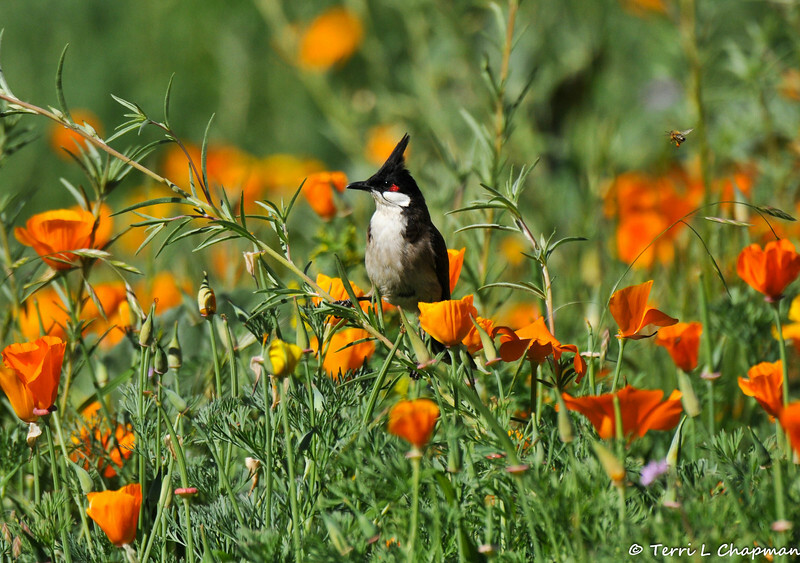 This image, of a Red-whiskered Bulbul perched on the stem of a wildlflower, and surrounded by California Poppies, was featured in the summer 2017 issue of American Forests magazine. Can you spot the honey bee in flight? Red-whiskered Bulbuls are native to tropical regions of Asia, including India, Nepal, Bangladesh, Myanmar, and the south China coast. Escaped caged birds were introduced and established colonies in North America.